Then it will spawn a new SSH session in terminal. I'd like these to be opened in iTerm2 instead. How do I tell OSX to use iTerm2 to handle ssh:// URLs instead of Terminal? Confirm and you are done. Happy remoting. 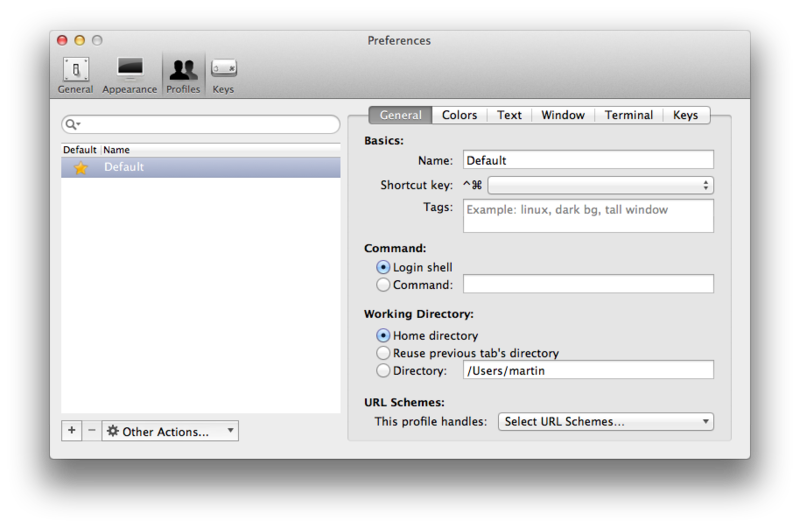 Make sure you dragged the iTerm2 app in the Applications folder. 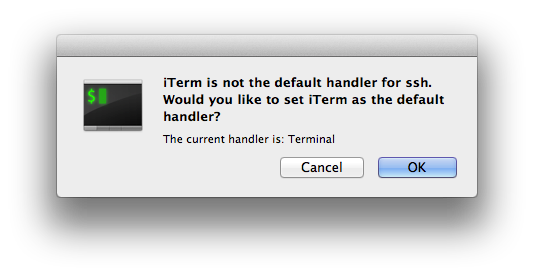 If you set iTerm2 to be the SSH terminal handler it will not save nor use it. It appears that when you invoke the handler it only looks in Applications. If it doesn't find it there it will default to the system handler. I was running it from Downloads and it would never save the SSH handler. When I moved it to Applications, it open iTerm2 for the SSH handler every time. Not the answer you're looking for? Browse other questions tagged lion terminal ssh iterm . How to change URL handler for firefox? Can a SSH session be wrapped to appear as a distinct App?